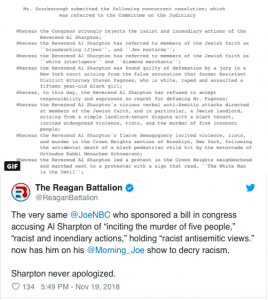 Sharpton never apologized for his frauds that resulted in people dying. Liberal media welcomed him and never held him to account. 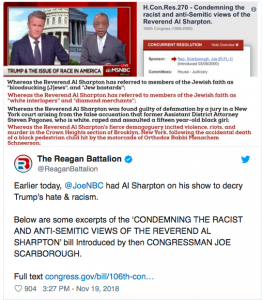 And Scarborough’s prior comments just show how hypocritical they are.